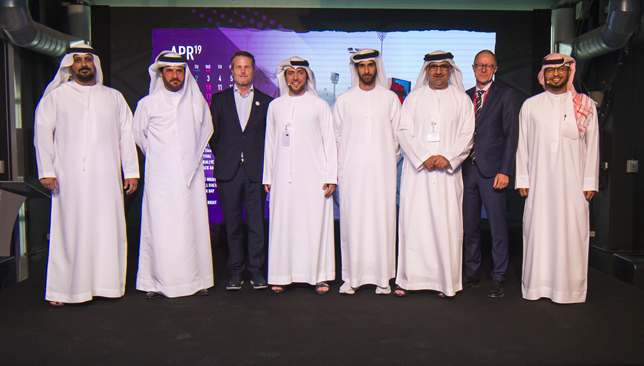 Yas Marina Circuit will host the opening race of the 2018-19 FIA World Rallycross Championship, the first time the event will be held in the Middle East. Taking place on April 5 and 6, it is another feather for YMC in which boosts their sporting credentials and heritage. Race goers can expect a full weekend of off-track entertainment with thrilling on-track action and some of the world’s most talented drivers competing for glory across the Championship’s thrilling Supercar and RX2 classes. Mohammed Ben Sulayem, president of the Automobile & Touring Club UAE, was delighted that the prestigious event will be staged in the capital. “Bringing the FIA World Rallycross Championship to Yas Marina Circuit is a huge boost to the development of motorsports in the UAE,” he said. It’s that time of the year! New Calendar, New Season, New Feels. The announcement was revealed during YMC’s calendar launch on Tuesday where there will be a variety of health and fitness events as well as top regional competitions. These range from single-seater championships and iconic endurance races to street-style drag events, including the TRD 86 Cup, Yas Racing Series, and the Gulf 12 Hours while vintage F1 cars return for another season along with the Super Street and Yas Roll Racing drag racing sessions. Al Tareq Al Ameri, CEO of Yas Marina Circuit, said: “Yas Marina Circuit is proud of its long track record of hosting thrilling motorsport races that attract fans from across the globe to Abu Dhabi while our innovative health and fitness events and challenges have helped us to reach the incredible milestone of welcoming one million visits. “Each year the Circuit’s annual event’s calendar is filled with the biggest and best activities and programmes that define its position as an important multi-purpose venue that serves the entire community. Young UAE karting star Rashid Al Dhaheri made his debut in the ROK Cup Championship in China in the mini class. Despite the challenging and highly changeable weather conditions Al Dhaheri triumphed on the circuit which required changing the tyres as well as the strategic plan during the race. On day one, Al Dhaheri qualified fastest to take pole position and remained in the lead throughout the race, maintaining his speed to take first place comfortably. However, despite this excellent start, in the final race of the day, Al Dhaheri was forced into second position by a competitor where he remained till the end of the race. On the second day, Al Dhaheri came in fifth place during the warm up race due after struggling with grip as a result of the rain and tyres. In the first heat on the final day the Emirati champion quickly rectified this moving from fifth to third, and then took pole position in the final laps of the race despite the race despite the extremely wet conditions. 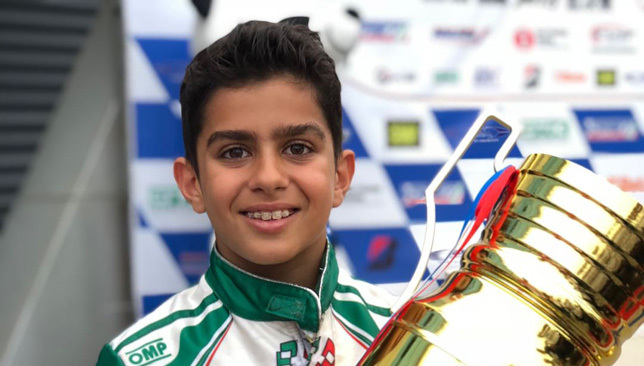 In the final race of the competition, Rashid started in first position and drove an impeccable race, extending his lead throughout the race to cross the finish line in a comfortable first place and record his first victory at the Red 1 International karting race in his first participation. Coach and ex-Formula 2 champion, Italian Fausto Ippoliti, added: “It was a great win for Rashid, once again he rose to the occasion and showed his prodigious natural talents, it was a well-deserved victory. Newly-crowned FIM world champion Mohammad Al Balooshi admitted he feared for his title chances following his concussion in April’s Abu Dhabi Desert Challenge. The Emirati rider won the Bajas World Championship in Hungary by a margin of six points at the weekend in a tricky third and final round in Veszprem. The feat meant Al Balooshi became the UAE’s first-ever FIM world champion but it was an emotional journey in getting his hands on the title. The 38-year-old was out of action for 10 weeks after being knocked unconscious during April’s Abu Dhabi Desert Challenge. Although he was discharged from hospital in 48 hours, the impact of the accident meant Al Balooshi was back on the wheels in mid-June. He wasn’t at his best in his first outing – the second round in Aragon but was still in the title mix going into Hungary. With the trophy won, Al Balooshi opened up on how difficult it was to stand top of the podium. “It wasn’t easy because I was off the training programme for around 10 weeks and didn’t do anything during that time,” he told Sport360. The Abu Dhabi native will continue racing in regional and UAE-based races until the end of the year before flying out for next year’s Dakar Rally in January. He isn’t getting too carried away on his title chances in South American but insists progress will be key. “I want to improve my result and I feel there should be progress every year. I don’t believe in jumping big steps and it’s important to finish high. Last year I finished 32nd and next year the aim would be to half that and anywhere in 15th position would be good,” he added.